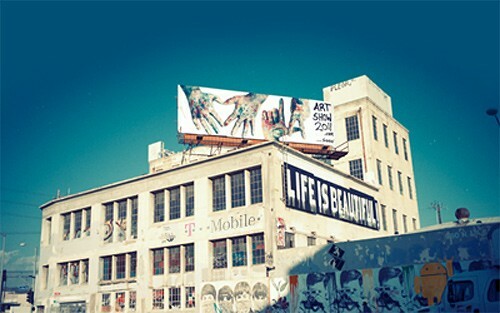 Google Holding Android Event on November 16 in Los Angeles, Finally Announcing a Music Store? Oooh, could Google’s new music store finally be ready? 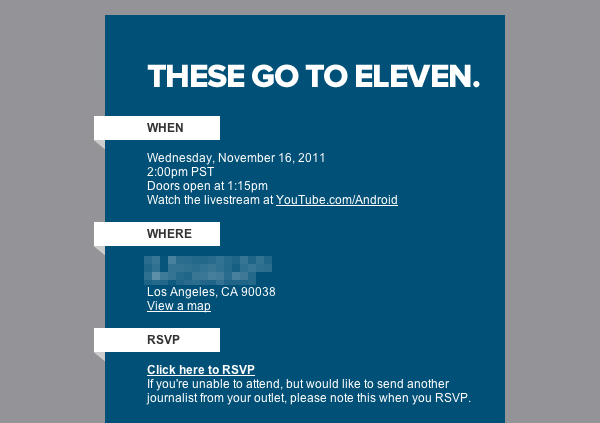 They are starting to send out press invites to an event that will take place next Wednesday in Los Angeles. In the invite (posted above), we are jumping to the conclusion that it will be music based upon the quote included which became famous in the movie Spinal Tap. Now, the quote actually means to take something to the extreme or exploit it, but nothing on the horizon seems to fit that description. I’d say that cranking up the volume on a speaker is it, and with that should come a full fledged music store. Of course, we should also point out that today is Nigel Tufnel Day. A live feed will be shown at Youtube.com/Android. 2PM PST is when magic will happen. They also included a teaser image that we have dropped after the break that could include a couple of extra hints. I’m seeing “T-Mobile” and getting really scared. There is no way in hell that they announce a music store that can only be accessed via T-Mo phones, can they? I guess they did something similar with Google Wallet and Sprint though. Meh, is all I can say to that. The Android guy in the bottom right corner has already been put up for sale at Google’s store for a limited time. Asus Transformer Prime Gets Some Hands-on Time, This is How You Do "Impossibly Thin"